In 1904 the first lodge “Cazotte” was founded by Annie Besant who brought a few English members. They initiated 6 men and 4 women so a lodge could be founded. It was installed on June 10th 1905 by Georges Martin himself. All members were also members of the Theosophical Society. The lodge started to work with Dutch translations of the Ritual that was written by Annie Besant and Charles Leadbeater and in use in British lodges of Le Droit Humain. 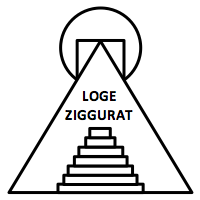 One of the original members thought the Ritual was too Theosophical and left “Cazotte” with a few other members, founded a new lodge and wrote a Ritual based on that of the (regular) Grand Orient of the Netherlands. Later the Dutch federation tried to push this “Dutch Ritual” on all their lodges, also under pressure from ‘Paris’, because the Supreme Council also thought that the Theosophical influence should be brought back to the minimum. In 1918 the two oldest lodges and a triangle split off because they wanted to keep using the Theosophical Rituals, see below. Inspite of the above Le Droit Humain grew. Two World Wars and a financial crisis brought the organisation a hard time. Also a new split-off occurred in 1960. Nowadays Le Droit Humain has 17 lodges and 350 members and so is by far the largest mixed gender order in the Netherlands. Over time lodges working with different Rituals started to be part of Le Droit Humain. Most lodges work the “Dutch” Ritual that caused the first schism. Lateron an “English” lodge joined Le Droit Humain; this is the Besant / Leadbeater Ritual. There are also “French” lodges working with a Ritual based on the original atheistic Ritual of George Martin. 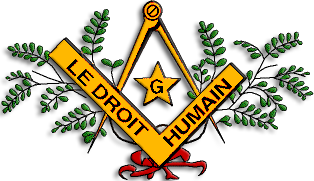 The ‘Dutch Union of Freemasons’ was the first split-off of Le Droit Humain (see above). At the time of the split-off, the Union had 2 lodges and a triangle. The Union grew in the early days, but two World Wars and a financial crisis would eventually bring the Union back to only one lodge. This situation remains today. The one lodge is the second mixed gender lodge to be founded in the Netherlands (under Le Droit Humain at the time) and since the very first lodge (“Cazotte”) was closed on 1939, lodge “Rakoczy” (founded 1911) is the oldest mixed gender lodge in the Netherlands. Not surprisingly, they work with the Besant / Leadbeater Ritual. 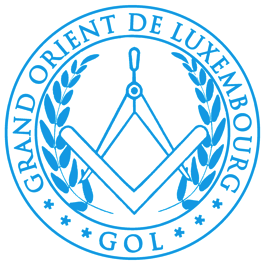 The ‘Dutch Grand Lodge of mixed gender Freemasonry’ (or ‘Dutch Grand Lodge of co-Masonry’ if you like, in Dutch the term is “gemengde Vrijmetselarij” which basically means ‘mixed Freemasonry’), is a 1960 split-off of Le Droit Humain. In that year 6 lodges left Le Droit Humain. Since then the N.G.G.V. grew and shrunk again. Nowadays there are 7 lodges and some 90 members. 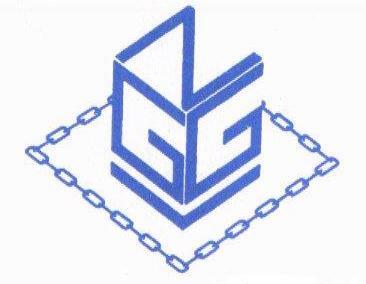 Within the N.G.G.V. lodges work with three different Rituals. The main Ritual is called “Scottish”, it is based on the first non-Theosophical Ritual that came in use within Le Droit Humain (this Ritual on its turn is based on that of the (regular) Grand Orient of the Netherlands of the time of writing). Lateron also a lodge affiliated which works with the “English” Besant / Leadbeater Ritual and more later some lodges started to work with a “French” Ritual that is based on the original atheistic Ritual written by Georges Martin when he started with Le Droit Humain. Early 2017 a number of people left N.G.G.V. 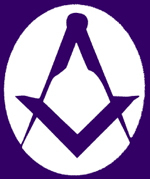 (see above) to found two new lodges and a new order. Currently there are three lodges and supposedly two in the making. The organisation aims to become ‘pluralistic’, not only mixed gender, but also men- and women-only lodges can become member. All lodges are strictly sovereign and allowed to use their own ritual. Hence, V.V.L.N. is more an administrative body than a grand-lodge type of organisation. 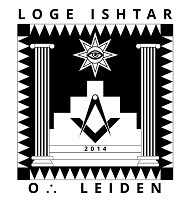 Two independant sister lodges in Leiden and Den Haag that were founded relatively recently. Loge Danu, Vrijmetselarij voor Vrouwen, a lodge for womens-Freemasonry in the making in ‘s-Hertogenbosch. The initiative started in 2015. Loge de Waterspiegel, VmV, a lodge for womens-Freemasonry in Gouda. 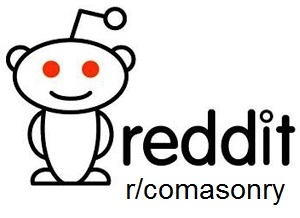 Founded in 2015. Work is done (late 2018) for a lodge in Assen. I would like to invite Dutch and Belgian visiters to visit the Dutch version of this website. It has (much) more information and a Google map to find a lodge nearby.